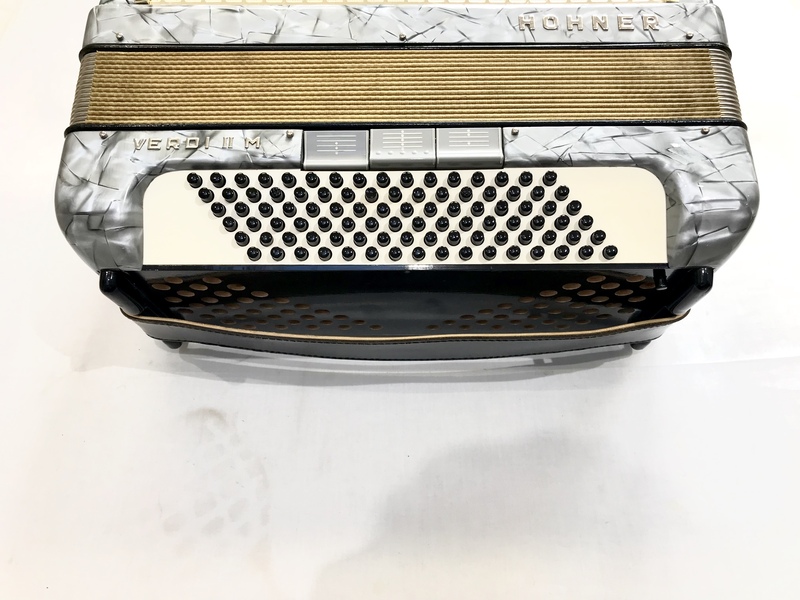 A pre-owned Hohner Verdi II M 96 Bass Accordion. 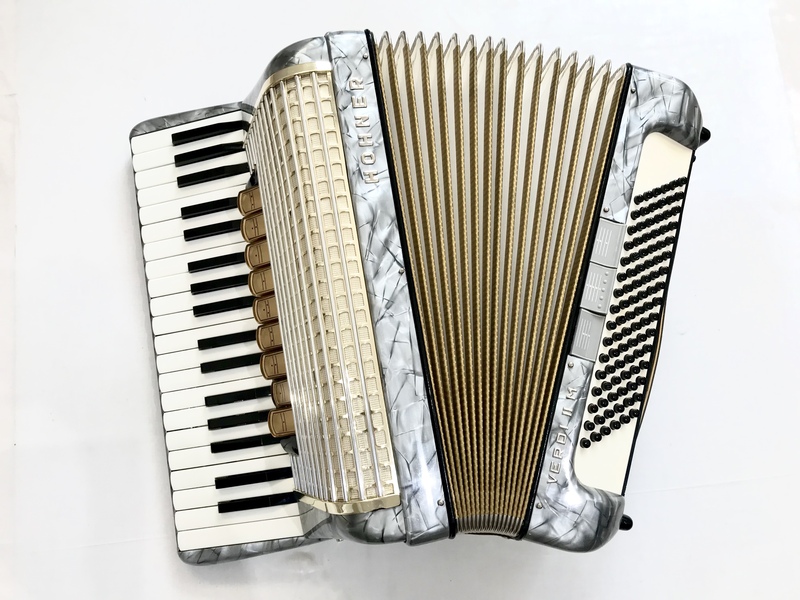 This classic accordion was built in West Germany, most likely during the 1960’s, by the well known and highly respected Hohner factory. 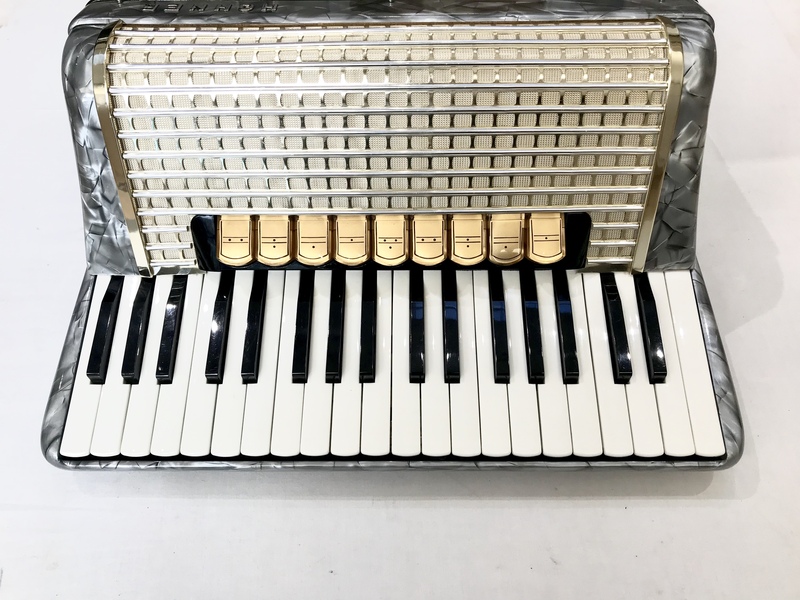 With 96 bass buttons and 37 treble keys, this instrument is tuned to a three voice tremolo tuning, making it ideal for most styles of playing. Finished in an attractive grey pearl casework, which is complemented with a gold grill. Presented for sale in good all round general condition for its age. A great instrument for somebody looking for a quality European built instrument, but doesn’t want the break the bank. 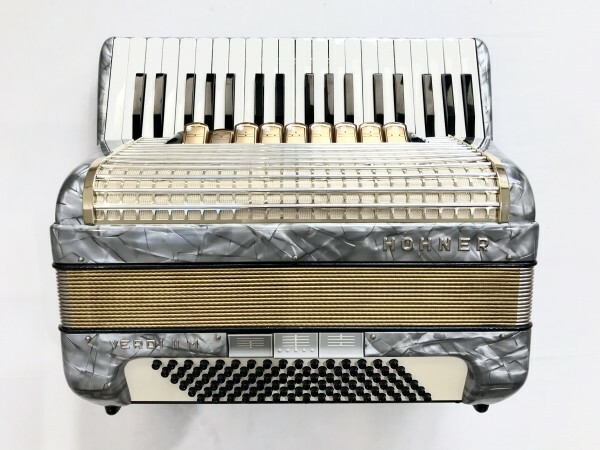 A 0% interest free loan is available on this Hohner Verdi II M 96 Bass Accordion subject to status via the Arts Council. Terms and conditions apply – please contact us for full details. Don’t forget, free delivery of this Hohner Verdi II M 96 Bass Accordion to most parts of mainland UK is included! Weight: 8.16 Kg. - 18.7 Lbs.